Dental Chews help reduce plaque and tartar, are easy to digest, help freshen breath and feature Vitamin C – a powerful antioxidant nutrient to support healthy immune function. We have a full house these days. With four dogs and a cat kicking around, we’re pretty much near capacity, and when you own this many pets, health care is a serious consideration. As Greyhound adopters, we are especially aware of dental health, and appreciate products that help us to maintain the dental health of our pets. So we were psyched when a care package arrived from Natural Balance last week. Enclosed were their new dental chews, and having spent the last few days letting our dogs devour them, there is no denying that they have been a big hit. The new Dental Chews feature wholesome ingredients like pumpkin and papaya, and are available in five formulas including a Clean Grooves Vegetarian formula, two L.I.T. Limited Ingredient Treats® formulas with a limited number of protein and carbohydrate sources, and two grain free formulas. Dental Chews help reduce plaque and tartar, are easy to digest, help freshen breath and feature Vitamin C – a powerful antioxidant nutrient to support healthy immune function. L.I.T. Limited Ingredient Treats® with Duck Meal Dental Chews: 13oz. L.I.T. Limited Ingredient Treats® Sweet Potato & Chicken Meal Dental Chews: 13oz. Pumpkin & Chicken Meal Formula with Papaya Dental Chews: 13oz. Sweet Potato & Chicken Meal Formula with Mango Dental Chews: 13oz. Clean Grooves Formula (Vegetarian Blend) Dental Chews: 13oz. Every production run of Natural Balance pet food is tested and results are posted on their website so customers can Buy With Confidence®. Visit www.naturalbalanceinc.com for complete details. 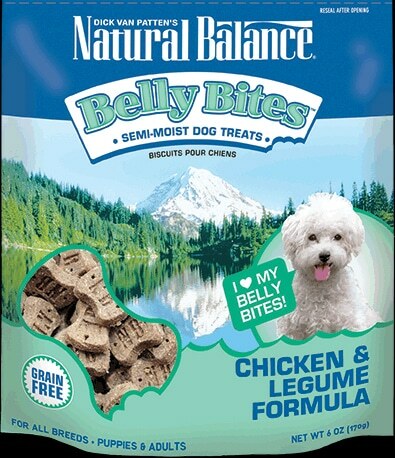 And for a chance to win a sample package of Natural Balance dental chews, be one of the first three readers to leave a comment below. Be certain to leave your e-mail address in the appropriate field and we’ll contact you for shipping information. Good luck! WOuld love to try these too! I’d like to try the dental chews. My dog is very finicky about what she’ll eat, so I hesitate to spend money on stuff I’m not sure about. Would like to give these a try though because she could use the help for her breath. Would love to give these a try for my 5 dogs!! hi we just adopted a dog from our local kill shelter and trying to figure out what MAx likes. Would love to give these a try and see if we can be loyal customers. 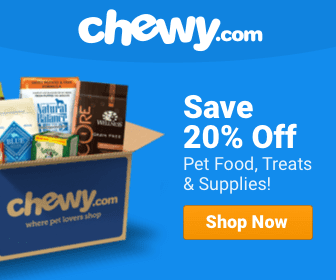 I’d like to have a sample for my dog to try …then write a review of the product! We already sell them at the store I work at in Hamilton, Ontario Canada. Awesome product. My greyhound loves them.